Most college coaches recruit mostly through AAU, club and travel teams rather than high schools. Several factors have shut high school coaches out of the process. 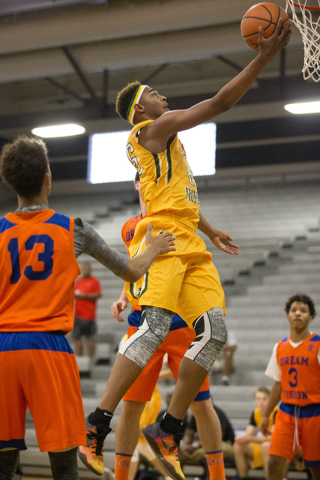 No matter which of the four AAU basketball tournaments a fan or coach or media member chose to attend in Las Vegas in late July, the atmosphere was about the same at each one. Games were played virtually nonstop, with coaches sitting in a designated area to the side, often hoping more to be seen by top prospects than evaluating them. Fans flooded the various gyms to get a glimpse of tomorrow’s college stars, and media members chased down prospects to see how close they were to choosing a school. AAU, for a combination of reasons, long ago surpassed high schools as far as where college basketball coaches go to recruit. 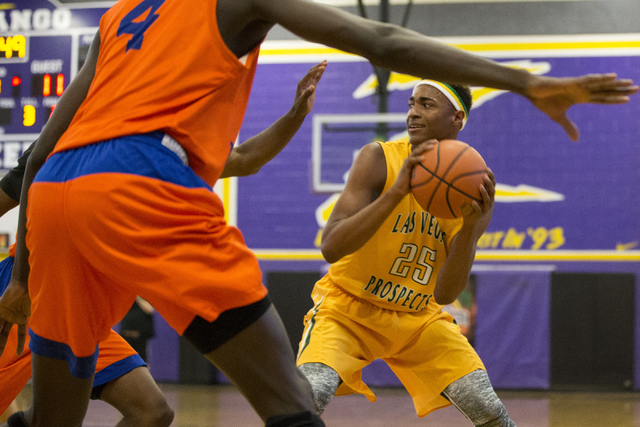 Anthony Brown, who directs local power Las Vegas Prospects, said that’s a good thing, because it creates a one-stop shop for players to be evaluated and against a more elite level of athlete than in high schools. “When you’re playing against those guys, it shows people where you’re at,” Brown said. But the AAU game is not without its critics. Many say fundamentals aren’t taught, and that AAU coaches hold unusual sway over players regarding which universities they choose. 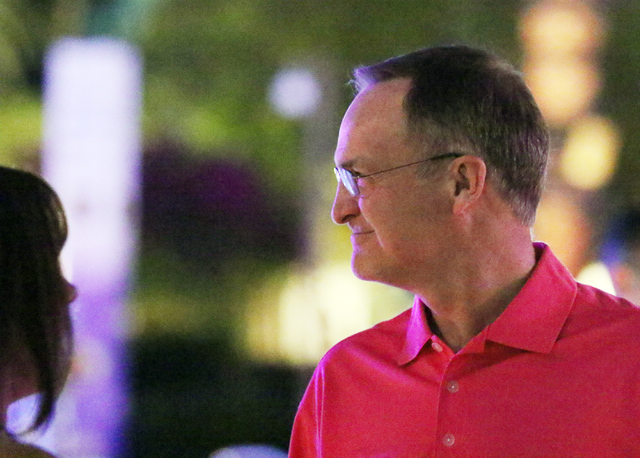 Several notable college coaches who were in Las Vegas in May for a Coaches vs. Cancer event said it was unfair to label all of AAU bad. 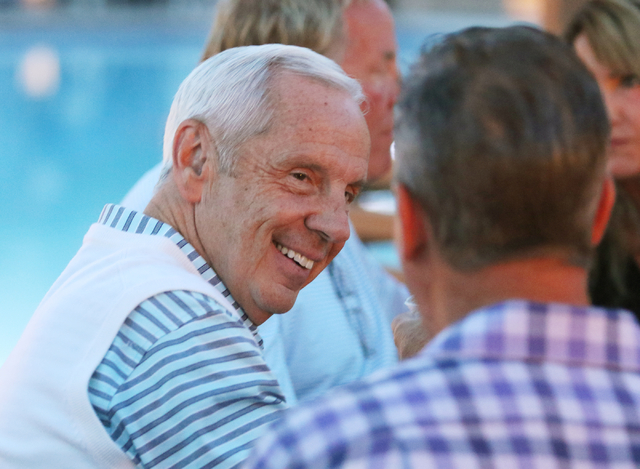 North Carolina coach Roy Williams said the recruiting focus on AAU was overstated. Men’s basketball is the most visible sport in which the recruiting focus has switched from high schools, but it’s far from the only one. Football, in fact, might be the only sport in which the high school coach remains a major contact. For baseball, UNLV coach Stan Stolte said the emphasis has switched to recruiting off travel teams. But UNLV women’s basketball coach Kathy Olivier said that though she doesn’t recruit as often anymore through high schools, she hasn’t abandoned going through prep coaches. First-year UNLV men’s basketball coach Marvin Menzies holds a similar view. “I have always had the approach to recruit from the high school as well as the AAU programs,” Menzies said. “It seems as though the national exposure is often given to the AAU program.